I'm stocking the store with some new greeting cards this week! 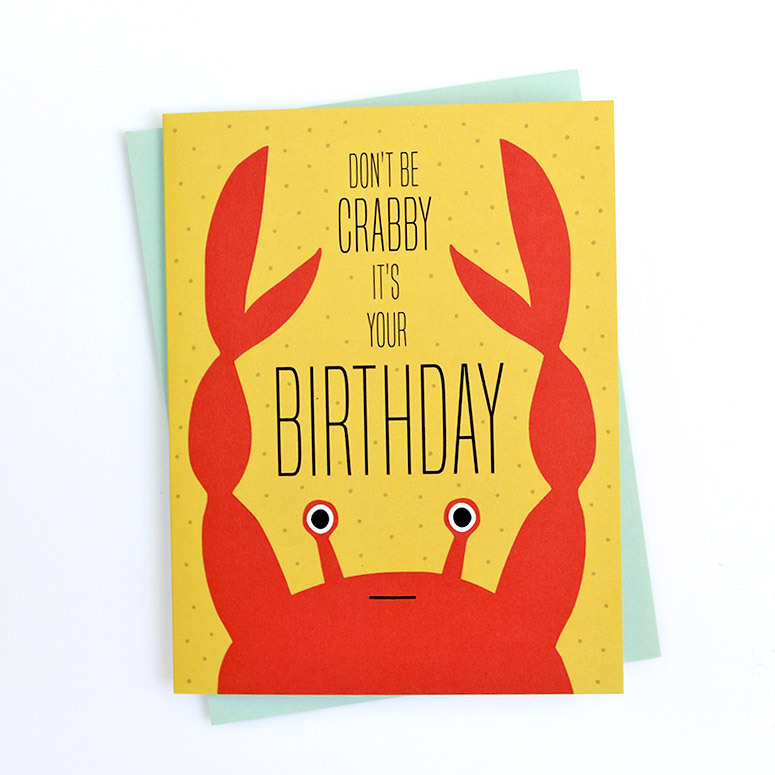 First up is this crabby birthday card. Got a lovable grump in your life or someone who loves the ocean celebrating a birthday? This is a great card for them. It has an original crab illustration that is wonderful for all ages.